Why do you need a Westfield Mold Remediation? Mold spores are everywhere. Some molds are hazardous to human health. When mold grows in a home it can cause severe breathing issues as well as irritate skin, eyes and noses. 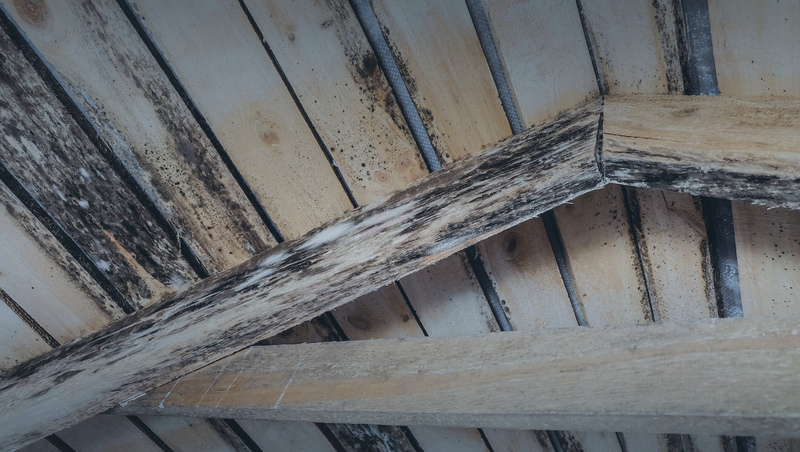 Mold can cause damage to a home’s structure. You need to get a professional mold removal contractor for a mold remediation. Mold remediation is the process of removing mold from areas that have experienced a mold overgrowth. There are some signs that reveal you may need mold remediation. Moisture creates an environment that breeds mold spores and cause mold overgrowth. Flooding from an indoor or outdoor source can produce mold within 72 hours of it happening. Carpeting, walls and furniture that have been saturated with water can take a long time to dry out which then produces and develops mold. Basements and attics are the most susceptible areas that have mold issues. Some water damages are not as easy to detect. You could have pipes leaking within the walls that may go unnoticed for a long time. Sometimes you may not visibly see mold, but you can smell it. If you smell something musty in the air inside your home, it could be a sign that there is a mold source near and you need mold remediation. Check around all areas of your home, air conditioners, water heaters and even under a sink. Yet at times mold can be present and there still is no odor present. Sometimes you can see subtle hints that there may be some mold infestation in your home. Brown or orange discoloration on your ceilings, walls or bathroom can be an indication that mold is growing. Mold doesn’t always have to be black, it can show up in different types of colors. One of the most critical signs that you may need mold remediation in your home is the effect mold has on human health. Breathing in air that has mold spores can cause many different issues. You or your family can produce coughing, sneezing, allergy like symptoms, chest tightness, difficulty breathing and many other types of issues. If you and your family catch colds more often than not, a mold issue could be lingering in your home causing this to happen. People who suffer from asthma are extremely affected by mold since they will experience numerous attacks. Long term exposure to toxic mold can cause other serious illnesses. That is the reason why mold remediation is so important and the sooner you have one the better air quality there will be in your home. Needing a Westfield Mold Remediation in your home? Contact Jun’s Mold Remediation. If you can recognize any of the above signs of mold overgrowth in your home, the most important thing you need to do is contact a mold remediation specialist right away. Jun’s Mold Remediation professionals will come to your home and give you a free consultation. The professionals at Jun’s Mold remediation offer mold inspection and testing, mold remediation, water removal and water damage repair. Don’t wait another second! Mold grows and spreads too fast and your health and the health of your family is way too important! If you need mold remediation contact us at (908)322-1533 right away so that we can start getting your home back to how it should be, a safe place for you and your family. Jun’s Mold remediation uses the latest technology to detect moisture sources where mold can grow. We identify the cause of the mold, fix the issue so it never comes back and remove the mold for good!